On Sunday in Week 9 of the NFL we have two teams coming off of wins this past week, and both got it done on the road as well. The Tampa Bay Buccaneers are fresh off of a huge win against the now 5-3 Minnesota Vikings on Thursday Night Football to get to 3-4, while the Raiders went into a divisional rivals house and beat the struggling Kansas City Chiefs to get to 3-4 as well. Both teams may be coming off of wins, but you can’t compare these wins for these two teams at all. The Bucs win against a Vikings team who has proved to be strong is a big one, but the Raiders beating the Chiefs is something that I pretty much expected. This game will be played in Oakland which gives them a bit of an edge I’d say, but the Bucs offense is playing well right now. Kickoff is 4:05pm. Betting on this NFL game? This sportsbook has great betting odds! The Buccaneers offense with Josh Freeman has looked solid the past few games, and if he keeps rolling the way that he is then the Raiders secondary could be in for a long day on Sunday. On top of that though, rookie running back Doug Martin was an absolute beast against a strong Vikings’ run defense on Thursday night, which is a sign that he may have turned a corner as well and could be ready to make some noise in this league. If the Bucs offense has both of these guys putting up consistent numbers, then the defense will simply need to slow down the Raiders on Sunday a bit. The Raiders offense finally got going last week in the second half against the Kansas City Chiefs. It started out a bit rough for Carson Palmer and Darren McFadden, but McFadden had a big second half, shredding apart the Chiefs defense. Palmer needs to avoid the turnovers on Sunday for the Raiders to possibly get the win and move to 4-4, and they are also going to need to rely heavily on McFadden. 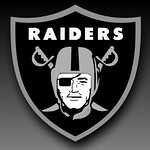 Expect the Raiders to keep pounding McFadden through the game, even if he has a rough first quarter or first half. 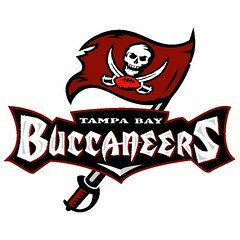 Bucs or Raiders? Bet on the game here! The betting line in this game has the Raiders as small -1 point favorites and the total at 45. While the Raiders have won two straight games, they did beat two struggling teams in the Jacksonville Jaguars and the Chiefs. It’s also important to note that they beat the Jaguars in a game where both Blaine Gabbert and Maurice Jones-Drew both got injured early and didn’t play in the remainder of the game. The Buccaneers are more talented than both of these teams, and I think that their offense is going to make the difference here. The Raiders offense hasn’t shown the ability to keep up with teams, and their defense simply isn’t strong enough to stop both Freeman and Martin. I’m going with the Buccaneers to win it by a touchdown here, making Bucs +1 my bet here. I also like the under 45 a little bit in this contest.